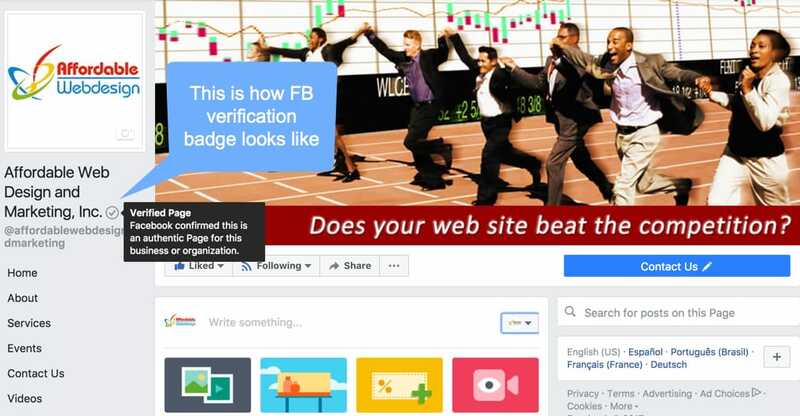 Verified badge lets visitors know your Facebook Page is authentic. Verifying a local business page adds a layer of legitimacy to your presence and can help customers feel more confident when they engage with you on Facebook. If you're an admin and your Page has a profile picture and cover photo, your business Page may be eligible for a gray verification badge. To verify your Page, you can use your business's publicly listed phone number or a business document (example: phone bill). Facebook will only use this information to verify your Page. After Facebook receives your verification code or business document, they will review your info to confirm that it matches public records and send you a notification or email about your verification status within a few days. Keep in mind that you're not required to verify your Page.